I remember when I was younger, my mom would never ask me to clean the house. I had only one task and that was to study. Study hard and I won’t be needing to clean the house ever in my life. Or so I thought, until I grew up and I had to look after my own house. A difficult task I might say, since I had no idea how to clean. I could solve math, but not dust, sort of speak. Ok, I might be exaggerating a bit, but you get the picture. I needed smart tools by my side and heavens provided finally, in the form of Shark Cordless Vacuum with Duo Clean. Before it arrived in my post, I had a really heavy vacuum that was so hard to operate, especially on the stairs. The cable was just not an option, making my cleaning chores so impossible, I was begging for a maid. After two years of development, the world witnessed the only cord free with Duo Clean and Flexology technologies. Shark is the number 1 in upright vacuums in the USA and now it takes the UK market by storm. 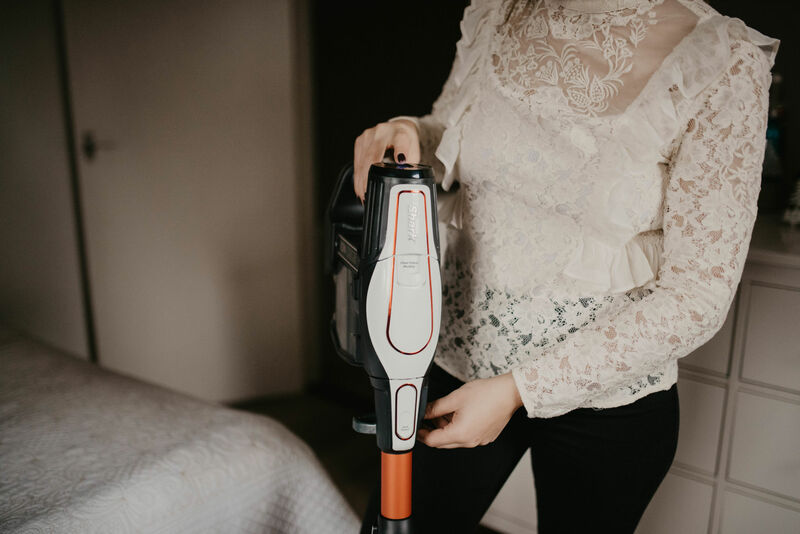 What I love about this vacuum is that it is really light, at only 4 kg, and it gives a mighty freedom to clean anywhere with its sleek, cord free design. 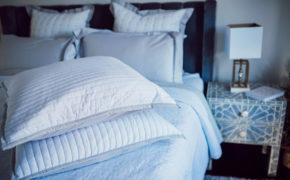 You also don’t need to change brush roll heads if you’re moving from carpets to hard floors, what a revolutionary concept! This is what the Duo Clean stands for: moving seamlessly from different surfaces to remove small and large debris in a single pass without snow ploughing. The flexology allows to charge, reach and store the vacuum anywhere in the house. With one click the back saving flexi-wand bends to reach under furniture and hard to reach places. Shark also features ‘fold and park’ a smart space saving solution. 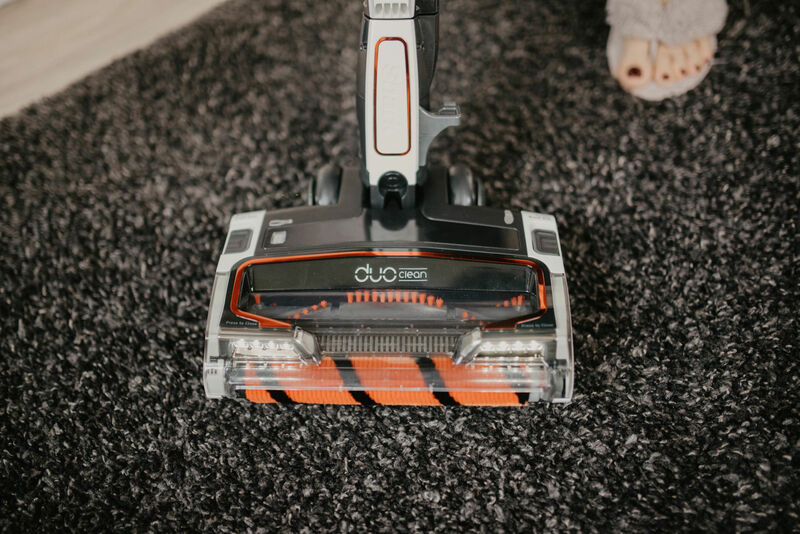 You can store or leave your vacuum anywhere in the home without fear of falling, no need for storage hooks or propping against walls, just click, bend and park. Simple as 1,2,3. One of the main features I absolutely love is the freedom to charge anywhere with a removable and rechargeable Lithium Ion battery. The batteries can be charge in situ on the vacuum or in a separate charging cradle. You can buy additional batteries separately, but one of them lasts for around 22 minutes, enough to vacuum a medium sized apartment. 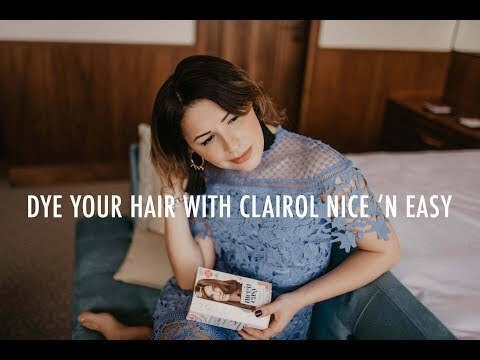 The vacuum is also incredibly versatile. 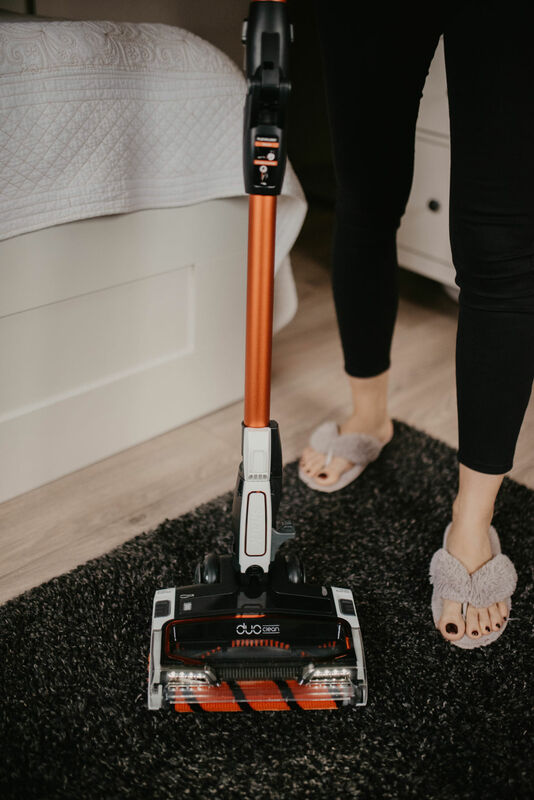 It converts from an upright to a hand vacuum, great for tackling stairs and upholstery. The motorised pet tool in the TruPet models enable effortless removal of troublesome hair. The portable vacuum is great for cars too! 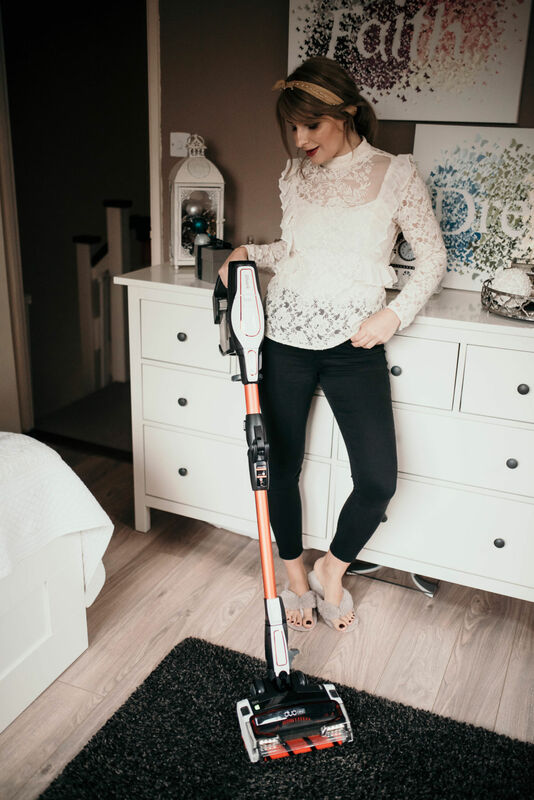 Already the 2nd biggest brand in the UK premium upright market, Shark is also boasting to be the 3rd biggest vacuum brand. 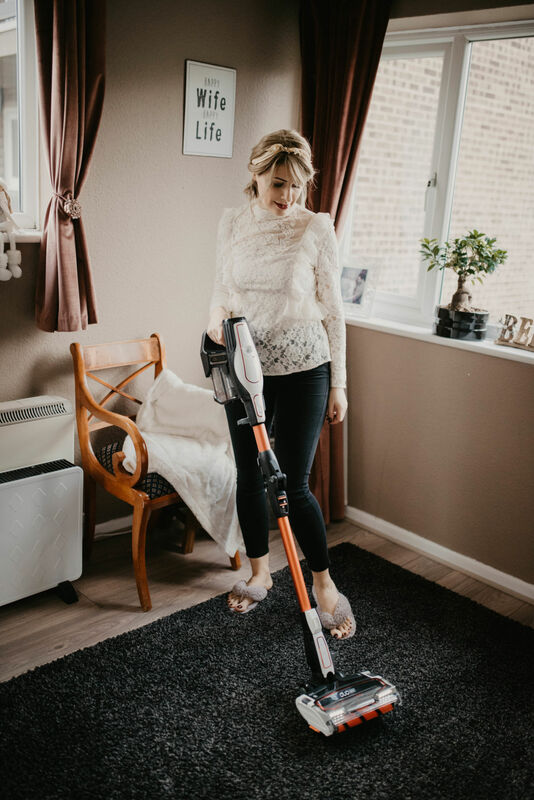 I can honestly say I tried quite a few vacuums in my life, but the moment Shark’s lights were on, I got so excited and couldn’t wait to clean the house! Something I was making my husband do for ages. 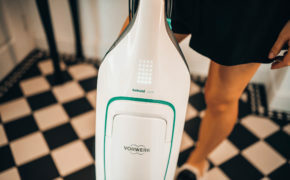 The adding powerful suction, the Flexology, easy cleaning and the multiple battery charging solution, the cleaning experience just got upgraded. If you want your life improved, check Amazon, Argos, Curry’s, Very, Sainsburys and direct from Shark for more details.